As drone technology advances, its applications are spreading into fields many of us hadn’t considered. 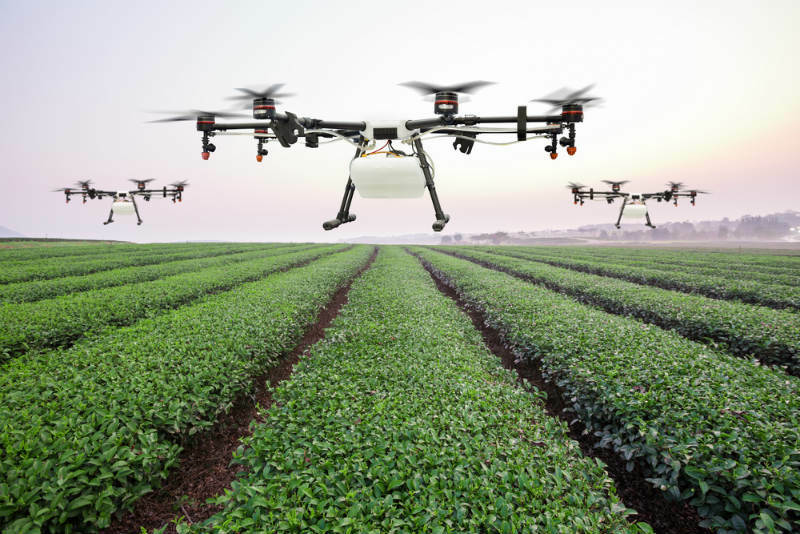 Industrial applications for drones is one such development, and companies are coming up with ingenious ways to take advantage of this technology. Let’s explore how drones are making life easier, safer and faster in the industrial sector. Previously, farmers managing vast expanses of land had to arrange for an aerial survey to be done, usually at great expense. Drones are a far more cost-effective option. As with agricultural applications, when it comes to utilities, it’s all about real-time information. For example, after a storm or severe weather event, a utility company can quickly deploy a drone to the status of electricity generation and associated infrastructure. Even in everyday circumstances, a drone can inspect for damage and general wear and tear, without a worker having to climb power poles. Drones minimise risk (workers don’t have to get too close to live wires), save time and save money. This application is best witnessed in action. Check out the video from Eyesee below and watch as a drone quickly scan items in a warehouse. Rumour has it that Walmart is developing its own line of drones for inventory checks. The results so far are impressive. Not only do drones gather information more quickly, safely and at a lower cost than a person or helicopter, they can also be deployed more frequently. More data means more analysis, and ultimately, a competitive edge for those businesses using this technology. Real-time data is critical to many industries, so we will undoubtedly see the use of drones become commonplace in the near future. Evidently, new applications for drones are on the rise. If you plan on entering the drone industry, now is the time to get certified. Our drone training courses are designed to provide you with the skills you need to succeed in the industry. Total Rpa is a fully CASA certified training provider. View our courses or send us an enquiry.